//	Alcatel Idol 4S Selling for $349 on Amazon – Do You Want One? Alcatel Idol 4S Selling for $349 on Amazon – Do You Want One? Alcatel is a well-known name in North America and in fact, the company enjoys a number of healthy relationships with top carriers in the region, among them T-Mobile, AT&T, Bell, and TELUS. 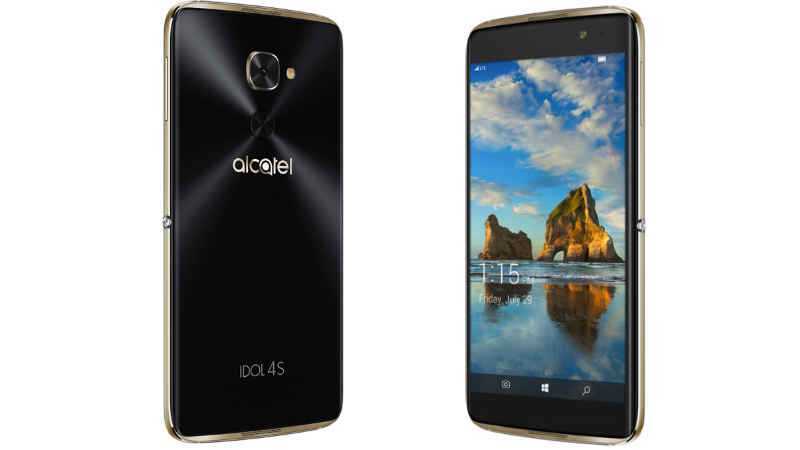 One of the latest handsets the company is selling is the Alcatel Idol 4S, which was released this year July. While the phone came to the market with what looked like a crazy price tag that put off many potential buyers, the perfect time for getting yourself a new Idol 4S is now. A look at the official Amazon website will tell you that Black Friday 2016 is here. To mark this event, the platform has listed the Alcatel Idol 4S for a price of just $349.99. Usually, the phone is priced at $399.99, but this includes a VR headset, however, the deal being offered by Amazon has no headset with it. Still, you get to walk away with the phone alongside a pair of JBL earbuds, tampered glass screen protector as well as a Quick Charge-ready charger. The Alcatel Idol 4S is a midrange handset that carries midrange specs, still, the phone is very capable when compared to others in the same class. There is a decent 5.5-inch AMOLED display screen with a resolution of 2560 x 1440 pixels, ending up with a pixel density of 534ppi. Despite carrying such an impressive display panel, the Alcatel Idol 4S has a midrange Snapdragon 652 processor, an octa-core chipset from Qualcomm that is clocked at a speed of 1.8GHz. There is an Adreno 510 GPU alongside a RAM of 3GB. On the storage matters, you get 32GB of inbuilt memory, but this can be expanded via a microSD card of up to 256GB. There is no dedicated slot for this, though, as the device uses SIM 2 slot to support microSD card storage. On the back of the phone, you’ll find a 16MP sensor with PDAF, dual-tone LED flash, and f/2.2 aperture. The snapper can record up to 2K videos, but the front camera, which has an 8MP sensor with a LED flash, only manages 1080p video recording. The deal is not long term, so hurry while the Alcatel Idol 4S is still in stock.